Through talks, exploring innovative projects, participating in practical workshops and networking we will investigate the connection of arts and architecture. "The Hungarian-British polymath Michael Polanyi is known about his philosophy of science and empirical studies in chemistry. This theory was extended by him to the art as well. The common ground of his doctrine in art and chemistry is abstraction. In my presentation I will examine the order which is conveyed by the notions of philosophy and theory of art. This systematic thinking begins with Vitruvius and defines the artistic and architectural thinking in the 20th century from the constructivist trends to the Socialist Realist and late modern architecture and urban planning." Borbála Jász got her master’s degrees in Philosophy, Art history and Pedagogy. Now she is an assistant lecturer and a PHD candidate at Budapest University of Technology and Economics, Department of Philosophy and History of Science. NATASHA REID: Beyond Form and Function: Combining Art and Architecture for People-Conscious Design. Natasha Reid Design is a London-based interdisciplinary practice working across architecture, art and urbanism. The practice’s emerging methodology – Immaterial Design – seeks to go beyond the purely physical, tangible or “bricks and mortar” aspects of the built environment, to focus instead on the quality of people’s experience of places. By incorporating artistic approaches and sensibilities into the design process, the practice strives to develop solutions that are deeply connected to people’s lives. Rather than creating built objects that exist only for their own sake, our projects aim to create environments that resonate with human nature, often with a strong social and cultural purpose. Natasha Reid, Founder, Natasha Reid Design. Passionate about the relationship between people and places, Natasha founded her interdisciplinary studio in 2014. Having developed her career working at leading architecture practices, she saw an opportunity to do something fresh after carrying out a series of exploratory, conceptual art projects. Her work focuses on the quality of people’s experience of places. "The projects of Hello Wood are truly on the border of art and architecture. The challenge of this approach is the people's way of thinking in categories. They usually interpret architecture as architecture and art as art. It is hard to define your position if you are in between two categories but it helps the interdisciplinarity and generates platforms where disciplines can meet. On the top of this, it is really important for us to express socially engaged messages and these in-between projects are perfect tools to communicate them." Péter Pozsár is an architect, co-founder and curator of Hello Wood. Hello Wood is an international art program based in Budapest, Hungary. It is also an achitecture and design studio, organizing projects and events defined by openness, experimenting, social sensitivity, innovation and development. 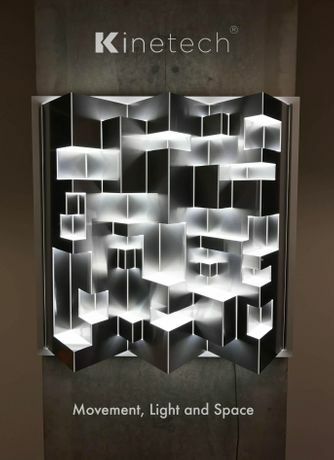 Kinetech is a London based creative studio developing collapsible structures for applications in architecture / interior design and art - taking our inspiration from the worlds of kinetic art and paper folding. 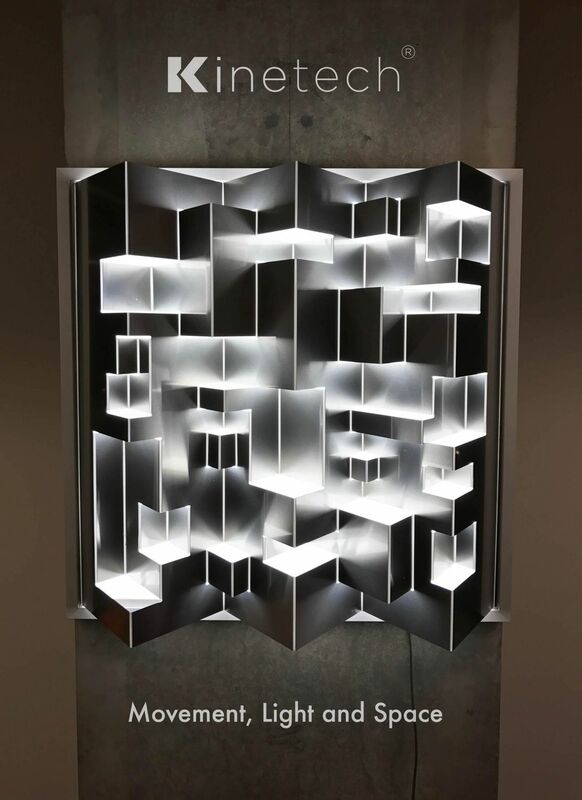 Kinetech’s objective is to develop a manufacturing process that offers scaleable foldable substrates to architectural and interior design projects. "Our design combines a novel approach to elements of light movement and space. We will be introducing a few of our latest concepts along with a DIY folding workshop where we invite everyone to create their own paper sculpture." Registration will open at 3.30PM and the event starts at 4.00 PM sharp.